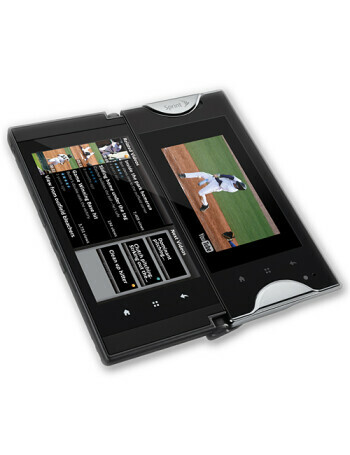 Kyocera Echo is a dual-screen Android smartphone with two 3.5" touch displays, which actually allow for a healthy sized 4.7" (800x960) real estate when combined. 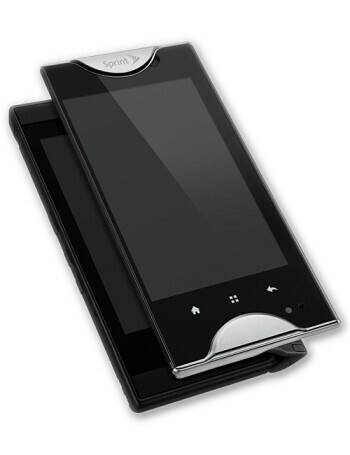 In closed mode, the Kyocera Echo is your typical Android 2.2 Froyo smartphone. 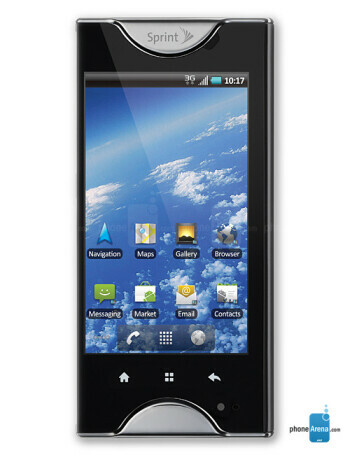 It comes equipped with a powerful 1GHz Snapdragon chipset, 5MP camera, Wi-Fi and GPS. 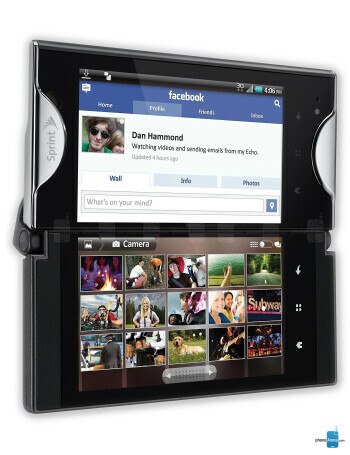 Unfortunately, it only sports 3G bands, no WiMAX compatibility.